Like this one for Camp Edge in Alloway, NJ. 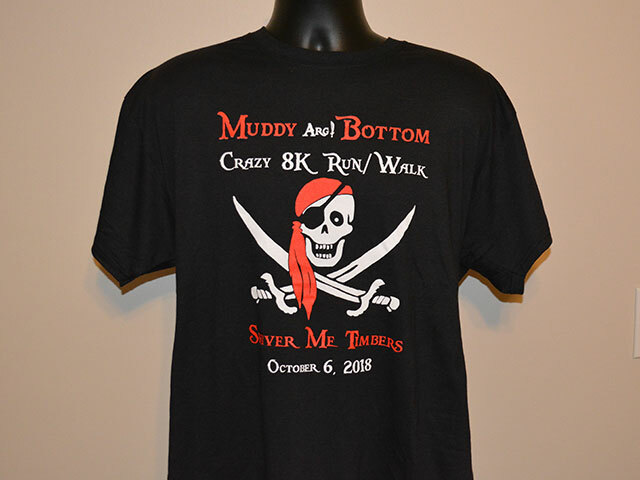 The annual Muddy Bottom Crazy 8K Run Walk fundraiser is fun, so the t-shirts need to be fun, too. The 2018 event was a pirate theme (ARGH!). Our artist, Domenic, enjoyed creating a pirate-inspired design for the front of the shirts. We hope the participants not only had fun raising money for this nonprofit outreach camp run by Ranch Hope, but that they also liked their commemorative t-shirts. They certainly had to work hard to earn them! If you’ve never participated in a mud run, click HERE and take a look at these pictures. You have to see it to believe it! If your organization is fundraising, t-shirts are a great way to provide long-term brand awareness of the event, the organization raising funds, and the generous sponsors who supported the event. Not all t-shirts are created equal, though. There are different weights and qualities, so to ensure you have happy participants wearing your shirts, contact us. 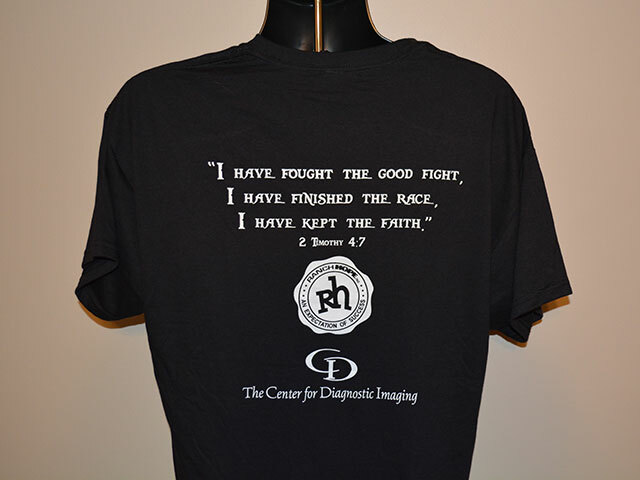 We’ve been supporting organizations with printed t-shirts since 1991 and we know t-shirts. We’ll make sure you look good and that your participants will love their shirts!